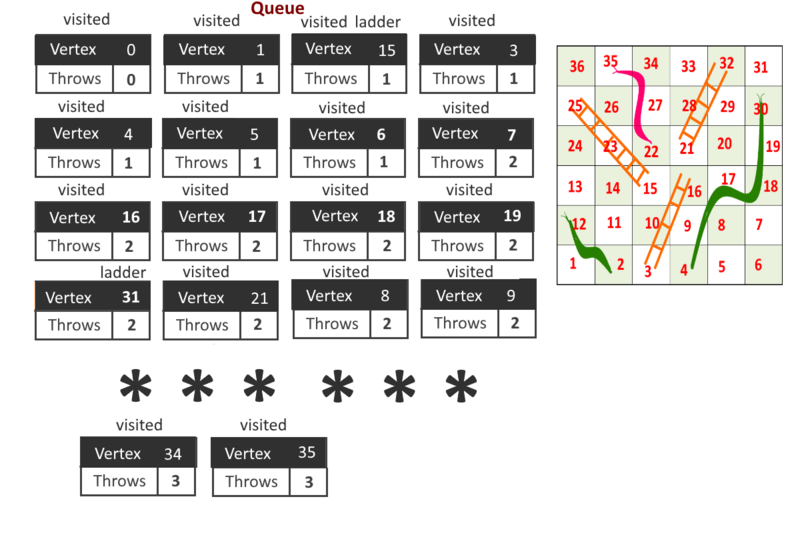 Objective – Given a snake and ladder game, write a function that returns the minimum number of jumps to take top or destination position. You can assume the dice you throw results in always favor of you means you can control the dice. 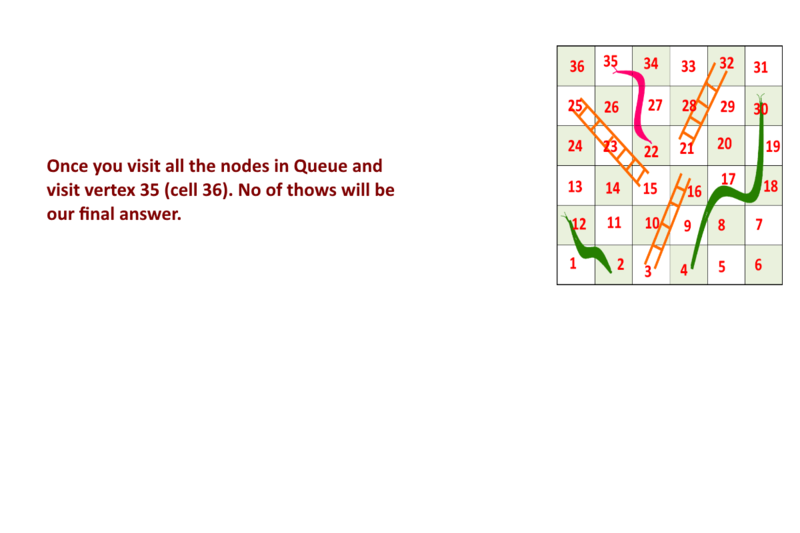 Throw the dice and whatever number you get, move on the number of cells on the board. 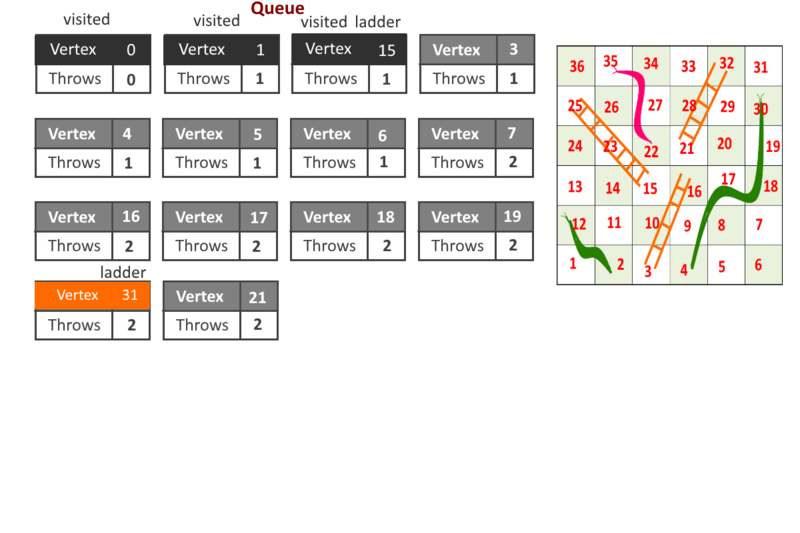 If you reach a cell which is base of a ladder, then you have to climb up that ladder without a dice throw. If you reach a cell is mouth of the snake, has to go down to the tail of snake without a dice throw. 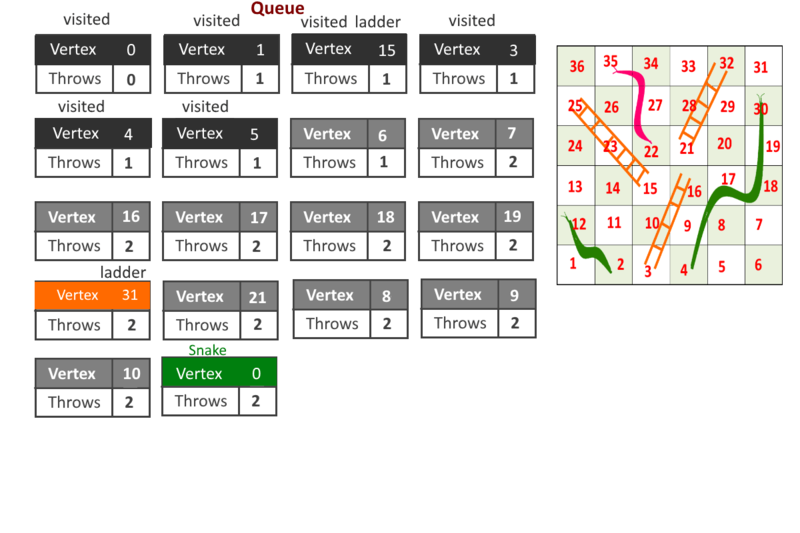 First throw on dice, get 2 to reach cell number 3, then take the ladder to reach 16. 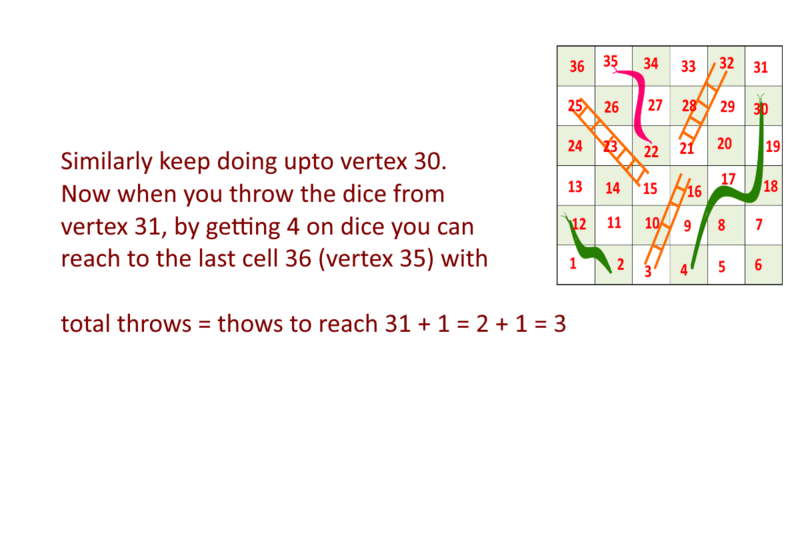 Second throw on dice to get 5 to cell number 21, and then take ladder to reach 32. Third throw on dice to get 4 to reach cell number 36. 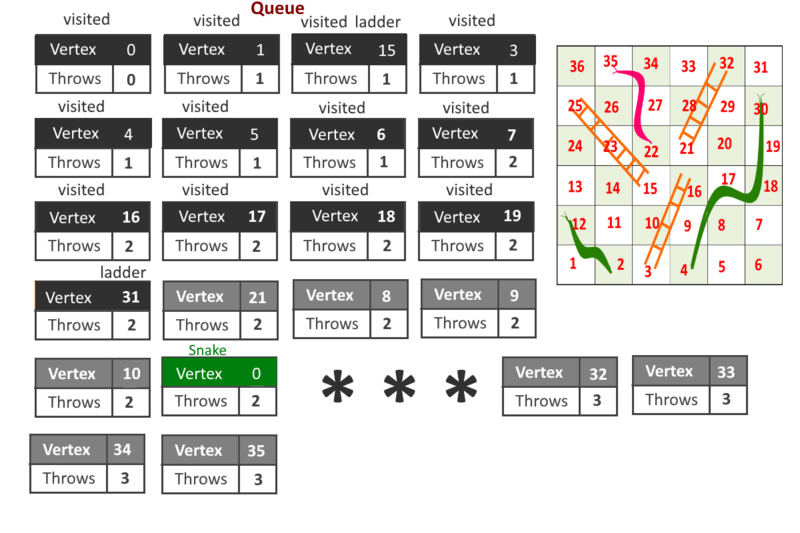 Consider each as a vertex in directed graph. 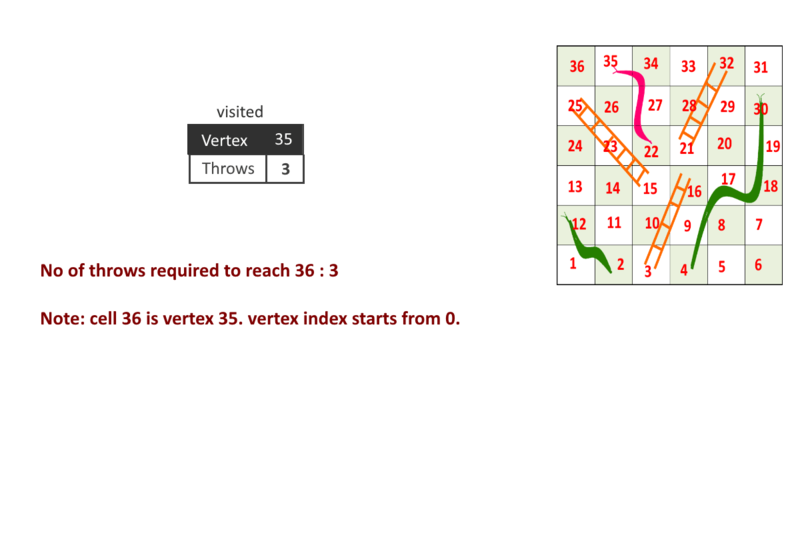 From cell 1 you can go to cells 2, 3, 4, 5, 6, 7 so vertex 1 will have directed edge towards vertex 2, vertex 3….vertex 7. Similarly consider this for rest of the cells. For ladder- connect directed edge from bottom of ladder vertex to top of the ladder vertex. Now problem is reduced to Shorted path problem. 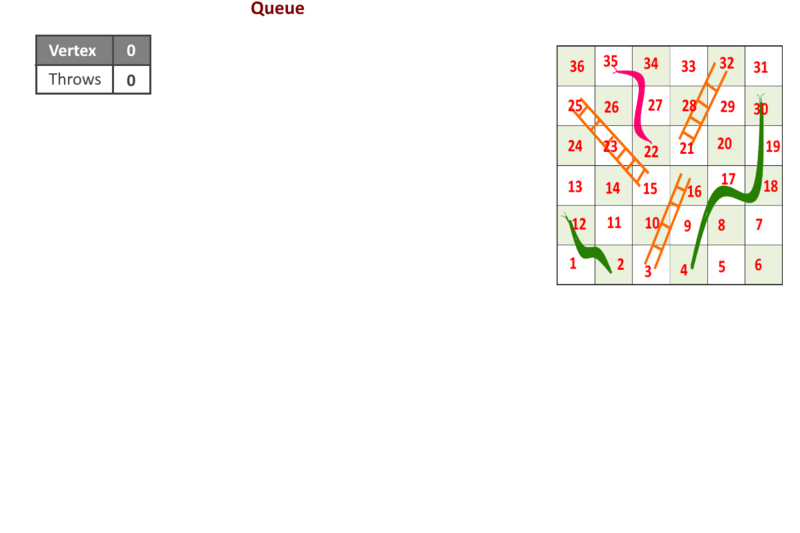 So by Breadth-First Search (using queue) we can solve the problem. 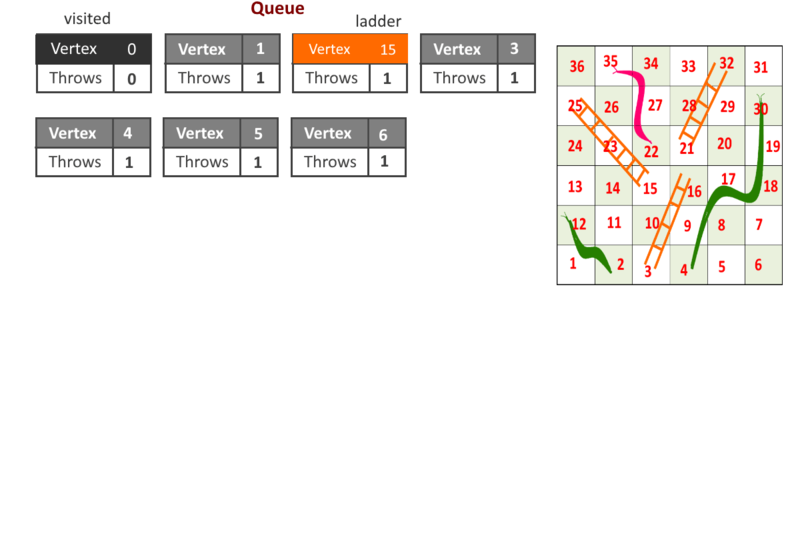 Start from cell (vertex) 1, add it to the queue. 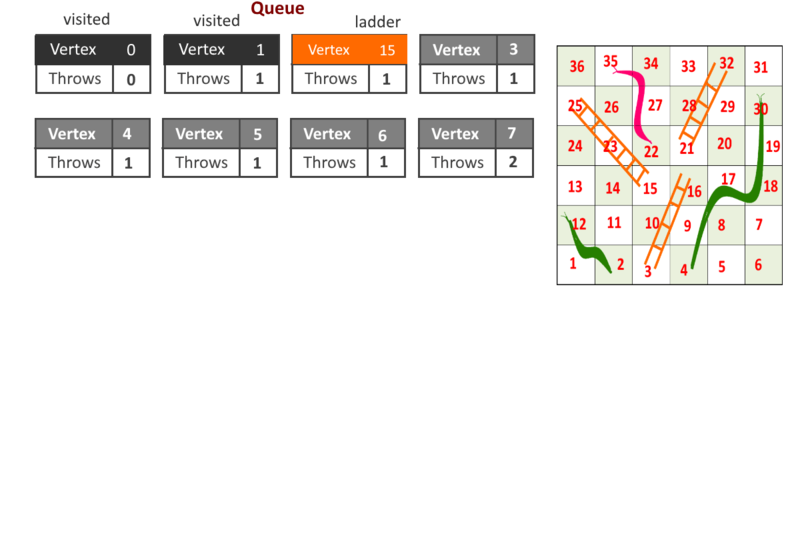 Remove a vertex from queue and follow the previous step. Maintain visited array to avoid going in loops. 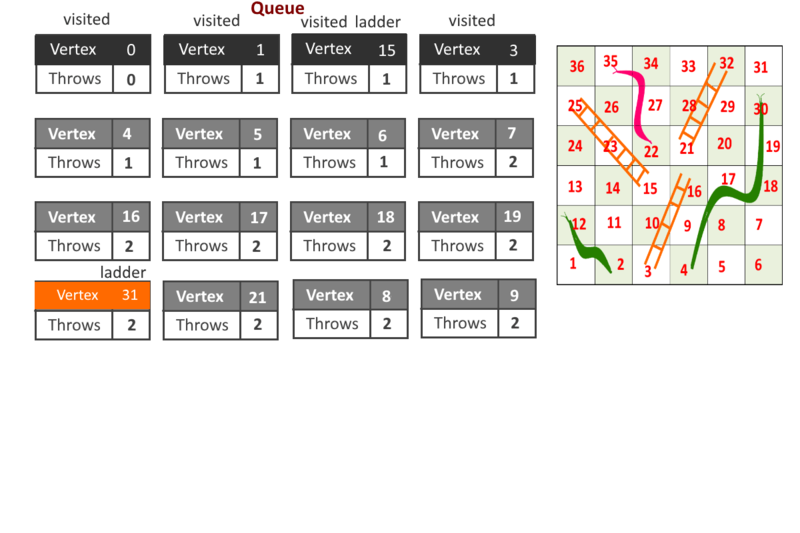 Once reach to the end(destination vertex), stop. 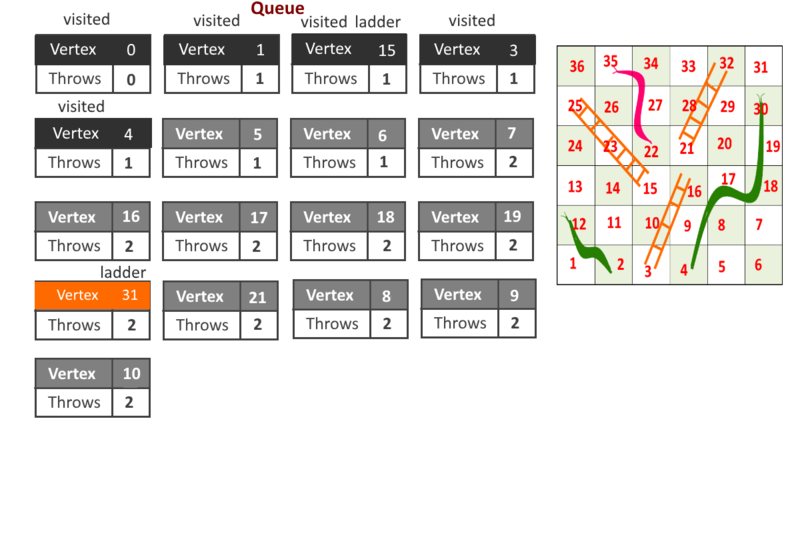 257 queries in 0.170 seconds.